2. The sands of pleasure. by Filson Young. This outstanding book takes the reader back to the early days of WW1 and the British Navy's battle cruiser force. The book provides an excellent and often poignant look at life in these beautiful ships of war and additionally, provides some very useful insights into the roles and personalities of some of the eras great leaders and commanders. This book is an absolute must for anyone with an interest in the Royal Navy during WW1. With The Battle Cruisers is an eyewitness account by Filson Young of what it was like to live inside the Grand Fleet of the British navy during the early months of the First World War. Vivid descriptions, a harrowing rendition of the battle of Coronel, depictions of the terrible losses of life at sea, and a great deal more fill the pages of this remarkable and unforgettable autobiographical history. With The Battle Cruisers is an impressive and welcome contribution to World War I Military History collections and reading lists. 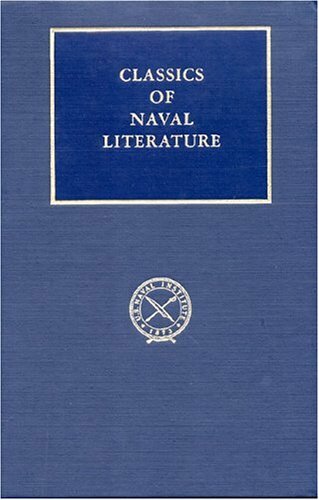 "that terrible fellow Filson Young"
This is one of the Naval Institute's great "Classics of Naval Literature" series. Filson Young was a British journalist who before World War One had briefly spent time aboard Admiral Sir David Beatty's flagship HMS Lion and who, when war came in 1914, decided that he wanted to serve with Beatty, a man who attracted hero-worship in much the same way as Nelson. Fortunately for Young, he knew Admiral Sir John Fisher, the remarkable architect of the dreadnought fleet, well and when Fisher, reappointed to the Admiralty as First Sea Lord, sent him a letter ("I am exceeding busy scrapping parasites" Fisher wrote, typically), Young promptly went to London to see him. Young wrangled a commission in the Royal Naval Volunteer Reserve as a lieutenant, and with Fisher's connivance, was assigned to Beatty's flagship, partly, one suspects, because Fisher wanted publicity for the Navy, and partly so Fisher could keep an eye on Beatty (to his credit Young promptly told Beatty that Fisher had asked him to write often and Beatty made use of Young as a conduit of information directly to the Admiralty). Beatty appears not to have been entirely pleased to have Young around ("...that terrible fellow Filson Young has worked his way and he has been appointed to the Lion for special service" the admiral wrote his wife), but appears to have found him an agreeable addition to his staff. Young's portraits of life aboard the battlecruisers are often wonderful; his chapter "Days With the Fleet" brings back to life a thoroughly lost era. As a non-sailor his observations are particularly valuable because he discusses things sailors would take for granted. Young fortunately served at the Battle of Dogger Bank; unfortunately he was out of the Navy before Jutland and so we have lost a useful witness to that greatest of naval battles. "With the Battle Cruisers" is edited by James Goldrick, who contributes a forward and valuable notes. Anyone interested in the naval history of the First World War will find this a necessary addition to their collection.